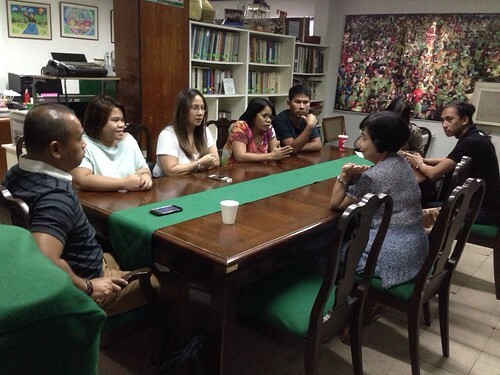 ASP Trustee Carmel Almendrala welcomed eight parents to the ASP monthly family support group on 18 October 2014. ASPs monthly family support group sessions bring together parents, siblings and other family members to talk about their journey in living with autism. Participants share their experiences and draw enlightenment and strength from others going through the same challenges. We welcome members and non-members to this intimate gathering. To explore the many ways you can help your child with autism, join the Autism Society Philippines. The Autism Society Philippines (ASP) is a national, non-profit organization dedicated to the well-being of persons with autism spectrum disorder. The ASP has been in the forefront of providing services and training to families living with autism. More at http://bit.ly/asp-join.